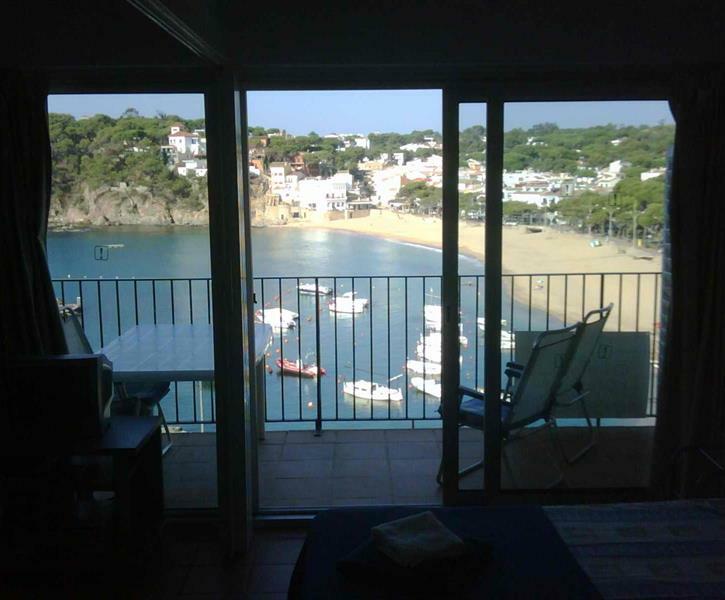 appartment on the bay of llafranc with breathtaking view, very well situated, few stairs from the beach and restaurants. We had a very quick break staying in Llafranc to meet up with family. The apartment was more than satisfactory, spacious and good facilities. The view from the apartment is exquisite. Very near to everything you need. The bay, beach and sea clean. I would definitely visit again with family. The local restaurants had a variety of budgets for all. Great location, clean, practical. Fantastic view, large balcony. The kitchen is small, but good enough. We totally loved Llafranc and it was an absolute joy staying in this apartment. The views are sensational and it was so wonderful to return here after a day's exploration of the surrounding areas. Places of interest that we thoroughly enjoyed and would recommend include the Gala-Dali Castle House Museum in Pubol, the town of Begur, the pretty resort of Tamariu and Peratallada (a medieval village) The coastal walk from Llafranc to Calella de Palafrugell is well worth doing as the scenery is so beautiful. The best recommendation we can give Llafranc and the apartment is that we would most definitely love to stay here again. Last, but not least, the owner is very kind and responsive. The apartment is well priced but quite dated and basic. Much in need of a facelift but owner is helpful and responsive. The kitchen is tiny and not suitable for proper cooking and the stairs can be quite exhausting as 3 and half flights up to the road and car and 150 steps down to the road and marina/beach. Would have liked better balcony furniture to have maybe 1 sunbed and a dining set that didn't completely swamp the moderate size of the balcony. On the positive-the location is fantastic and to lay in bed in the morning and see the bay is so enjoyable and to watch the day to day running of the marina great fun.